Giddings Boat Works has been providing commercial fisherman up and down the west coast, from California to Alaska with custom boat building services since 1979. Giddings Boat Works is an experienced Custom Boat Builder that believes in supporting our local community by keeping jobs and manufacturing here at home. We take every opportunity we can to use local and domestic companies for materials and services when doing our in-house purchasing. We know how important it is that we do our part to bring back the mantra “Made In America” , and it always starts in your own house! Which is why we are excited to announce our latest Made In America project, the Evie Grace. She is designed to be a 79′ Fishing vessel that will become part of the West Coast Fishing Fleet and help to bring in revenue for the local economies and wages for her crew. 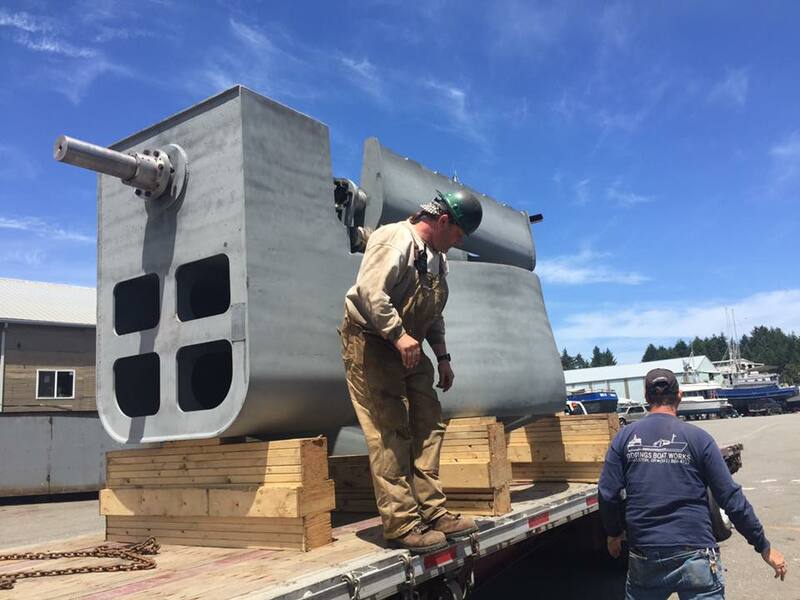 At Giddings , building boats for our clients is more than just a job, it’s way of life here on the Oregon Coast, and we put our hearts and souls into every project. We look forward to bringing this lovely lady to life and we will strive to keep you posted and updated as we go through the manufacturing process. If you like you can keep tabs on our progress and see new photos of the boat, and the crew working on her at the official Evie Grace Page. Remember, if your looking for an experienced Custom Boat Builder to build the boat you have always dreamed of, then please give us a call here at Giddings Boat Works and let us help you make that dream come true ! You can Contact Us online and let us know a little more about your project, your ideas and your vision as far as what you are looking for, you can also call us directly at 541-888-4712.